In this essay we examine the revenge problem as it arises with respect to accounts of both the set-theoretic and the semantic paradoxes. First we review revenge as it arises in the set-theoretic setting – the Burali-Forti paradox – and outline its modal-structural resolution, highlighting the roles played by the logic of plurals, modal principles, and especially the extendability of models of set theory on this account. 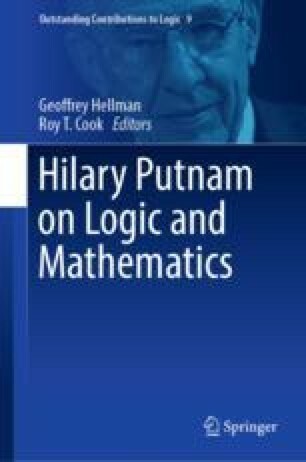 We then we turn to the semantic paradoxes, especially the Liar, and develop an analogy between the problems of expressive incompleteness and revenge affecting proposals to resolve the semantic paradoxes, on the one hand, and, on the other, the always incomplete and extendable nature of domains of sets on the modal structural approach to set theory. We then argue for a corresponding parallelism in resolutions of the set-theoretic and the semantic paradoxes. Focusing on recent accounts stemming from the work of Martin and Woodruff (Philosophia, 5(3):213–217, 1975) and Kripke (Journal of Philosophy, 72:690–716, 1975), we formulate a modal account of the extendability of languages on the Embracing Revenge account of the semantic paradoxes (see, e.g. Cook, Embracing Revenge: On the Indefinite Extendability of Language, 2007; Schlenker, Review of Symbolic Logic, 3(3):374–414, 2010) analogous to the formulation of extendability principles for set theoretic universes on the modal structural approach. Finally, however, we examine an interesting dis-analogy via a meta-revenge version of the Liar paradox that seems to have no analogue in the set-theoretic context, and we show how the solution to this puzzle also highlights even deeper connections between the modal-structural account of set theory and the Embracing Revenge account of truth and semantics. Ferreirós, J. (2007). The early development of set theory. In The stanford encyclopedia of philosophy. http://plato.stanford.edu/entries/settheory-early/.